ALLURES is a performance sailing catamaran, perfect for charter in the enchanting French Riviera, Corsica and Sardinia. This cutting-edge, custom build was created by a passionate owner demanding high performance capability and maximum live aboard comfort. Built by the French company Compositeworks, ALLURES features four exceedingly spacious cabins and vast deck and social areas for unparalleled live aboard comfort. 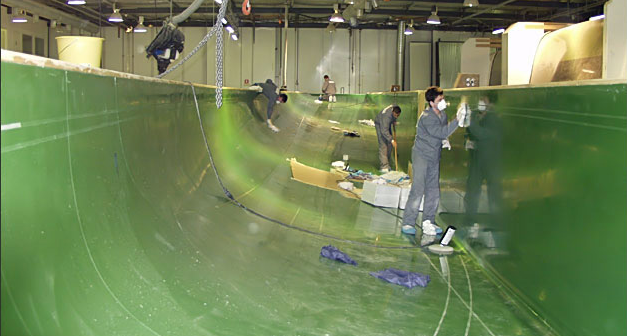 This impressive build is one of the largest and fastest all-carbon catamarans in the world, and at 100′ one of only a few existing mega catamarans. Twin hull construction using high tech, lightweight materials allow this high performance sailing yacht to double as the ultimate luxury sailing yacht, the goal of the owner’s design brief. A shallow draft is ideal for reaching the secluded anchorages and smaller islands and inlets that characterize the region. The yacht is equipped with two Cummins QSB5.9 355cv engines and two Onan 22.5 Kw gernerators for power and comfort. ALLURES features contemporary, chic interiors in leather, mahogany and fig tree woods with modern lines and an earthy organic color palette that creates a warm, sophisticated atmosphere. Styling and interior design were defined by the owner’s wife, an interior designer whose mandate required the infusion of a modern aesthetic within a traditional context. 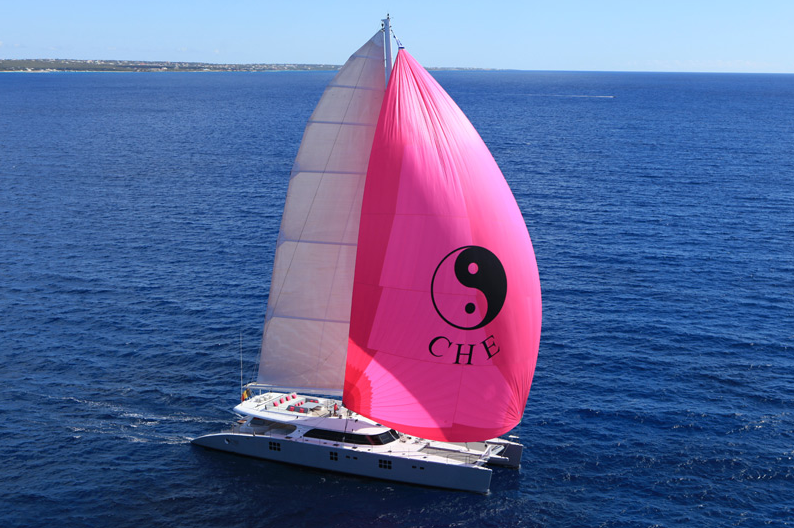 ALLURES is simple to sail, so although this sporty catamaran can reach a maximum speed of 16 knots under power, she is rarely seen offshore when not under sail. 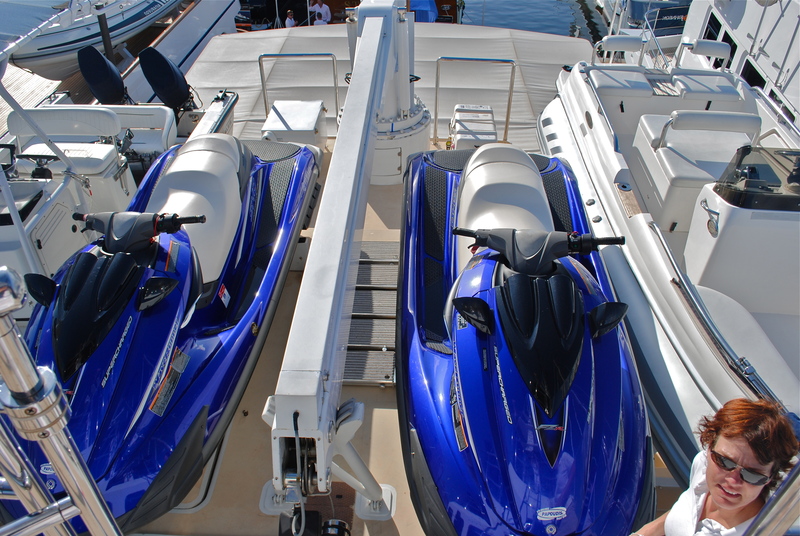 Fully retractable daggerboards allow access to very shallow shoreline depths, hidden bays and secluded beaches, while providing the ultimate in safety and performance. Whether the client’s itinerary is town hopping or beach bumming, ALLURES transports charter guests with performance and panache. 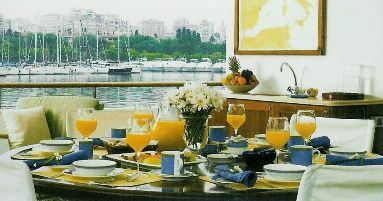 ALLURES is a stylish yacht, elegant, refined, well known and highly popular on the Mediterranean charter circuit. Reaching maximum speeds as fast as 27 knots, ALLURES is as perfectly suited for Mediterranean fast cruising between the trendy towns of the French Riviera, or exploring ports of call in Corsica and Sardinia, as she ideal for social soirees or corporate entertaining at the dock. 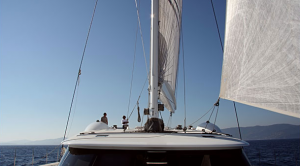 Please follow this useful link for detailed information regarding the charter of mega catamaran ALLURES , or contact a Sunreef Charter Yachts professional for rates, availability, and to book this yacht. 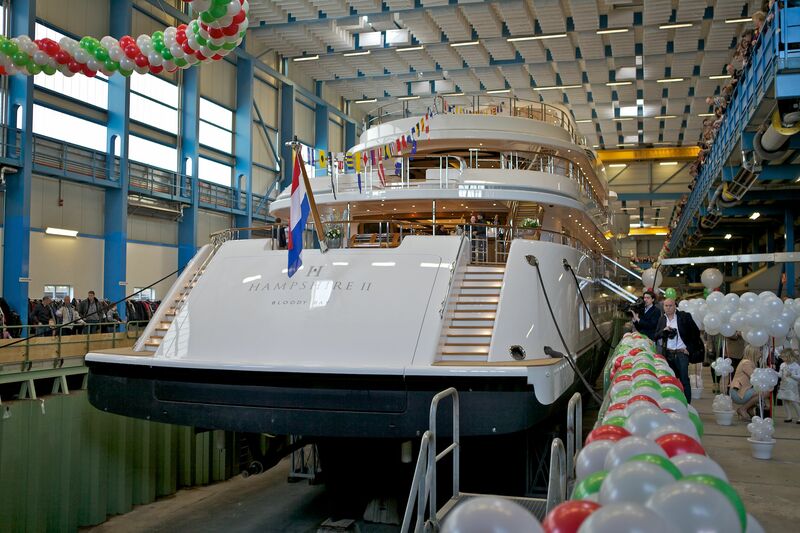 Feadship has launched the 78.50-metre custom megayacht HAMPSHIRE II for an experienced Feadship owner with a great love of action and sports. From the foredeck ball court to the 25-metre high crow’s mast, this latest scion of the Feadship fleet is a yacht full of adventure. HAMPSHIRE II is built for a sports enthusiast and designed around every conceivable sporting activity while also offering exceptional facilities for those who like to take things a little easier. In fact at the launch ceremony, various teams representing the owner’s guests and personnel from the yard played football on the foredeck of HAMPSHIRE II. The yacht’s helicopter landing platform, nicely finished in teak, can be transformed into a playing field for basketball, tennis, baseball, badminton and football. A giant net is placed around the deck to ensure continuity of the games. This is one of many unusual features onboard this bespoke Feadship, the split-level design of which maximises the volume and outdoor space. On the sundeck, for instance, a crow’s nest placed atop the mast is reached by a two-person elevator and offers panoramic views high above the water. For the truly adventurous, a zip wire is connected to the mast to which one can tie a rope and slide at breathtaking speed from the crow’s nest down to the water. HAMPSHIRE II also has a phenomenal beach club with two platforms that open up either side of the yacht in addition to the swim platform at the transom. A swimming ladder descends from the stern hydraulically while the beach club itself has been finished in a driftwood style. The whole area is very well incorporated with the deck above, which includes a skylight surrounded by seating. 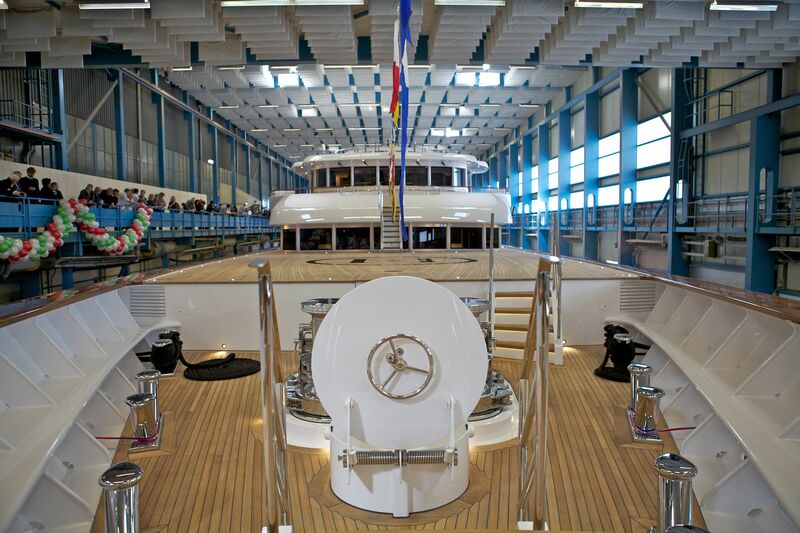 The contemporary overall design by Redman Whiteley Dixon and Feadship incorporates balconies on either side: Seating terraces for the owners and wing stations adjacent to the wheelhouse. There is a wealth of fine detailing in the design, including the nameplate on the glass panel in the recessed part of the bridge deck fashion plates. While the exterior profile is modern, HAMPSHIRE II’s interior is a classic affair. Highlights include a typical English style bar on the bridge deck in place of the traditional lounge. 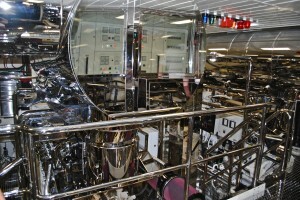 The engine room has a passageway through the middle with full height glass walls. 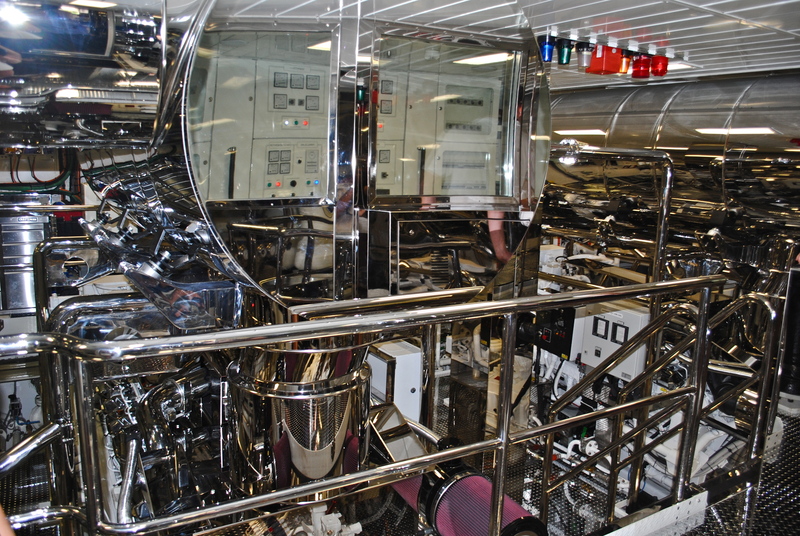 Only three colours are used in this area – Ferrari red, white and black which, combined with lots of stainless steel and the clever use of spotlights, make the engine room look fantastic. 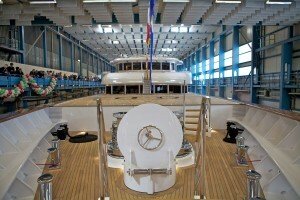 The same can be said of the wheelhouse with its glass-covered dashboard and touchscreen controls. 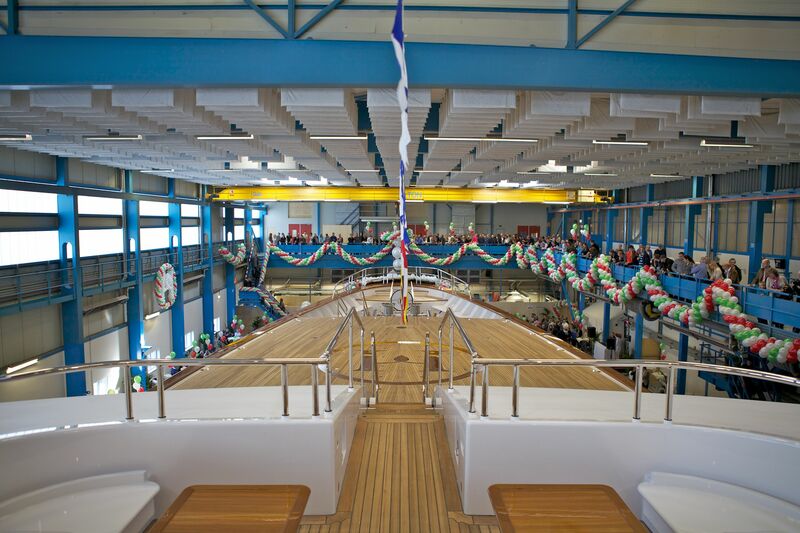 Like everything else on this splendid vessel, state-of-the-art technologies have been combined with exceptional craftsmanship and an unprecedented eye for visual treats. 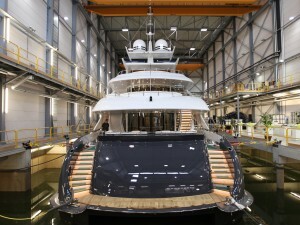 And in doing so Feadship has set a new standard for owners who enjoy using their superyacht to the max. 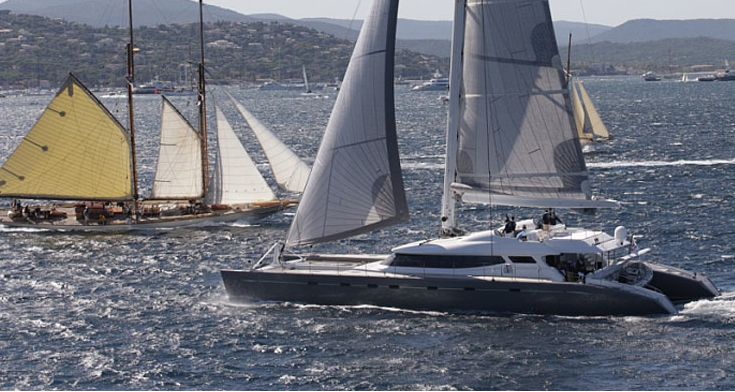 Sunreef Yachts Charter offers a comprehensive selection of megayachts, luxury catamarans, power boats and sailing yachts in destinations worldwide. 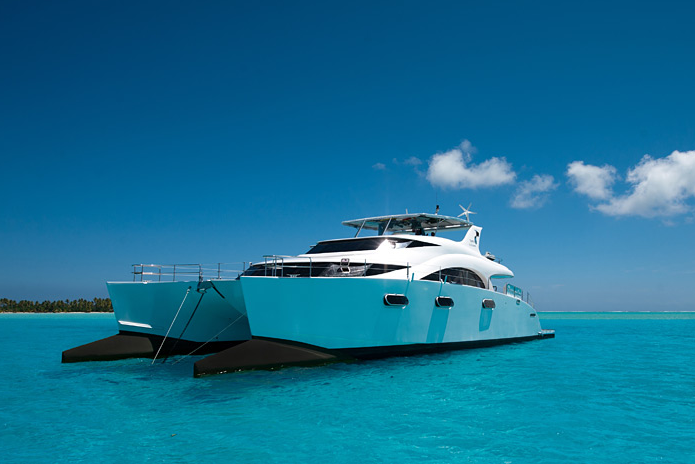 Please contact a Sunreef Yachts Charter professional for additional information, availability and rates. 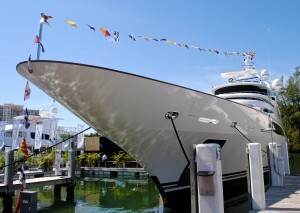 The 2012 Palm Beach International Boat Show is being hailed as a success and a sure sign of a general upswing in the economy. With increased traffic and positive sales results, it appears that people are poised to fully express their passions for yachting. This year attendance was up at the show, which attracted more than 50,000 people. It covered more space than ever, thanks to the addition of 40 in-water slips at Palm Harbor Marina at the show’s north end. More than $350 million worth of marine merchandise was on display, and the number of yachts with an LOA greater than 100 feet was up 35 percent from last year, distinguishing this show as one of the top in the country. Sunreef Yachts Charter experts toured many of the most distinguished charter yachts, including DIAMOND GIRL, PRIVATE LIVES, BLIND DATE, took copious notes, interviewed Captains and crews and sampled gourmet cuisine on board. one megayacht considered to be a real gem. Serious charter inquiries from qualified clients, including well known celebrities spotted on the docks, indicate that the future of the marine industry looks very bright indeed. Please visit Sunreef Yachts Charter Facebook page to view photo albums with additional descriptions of DIAMOND GIRL, PRIVATE LIVES, BLIND DATE, GLAZE, FOUR ACES and MISS ROSE, some of our favorite and most popular charter yachts in the show. DIAMONDS ARE FOREVER, Owner John Staluppi’s latest, most technologically advanced and extravagantly decorated megayacht, was the must-see build for everyone attending the 2012 Palm Beach International Boat Show. 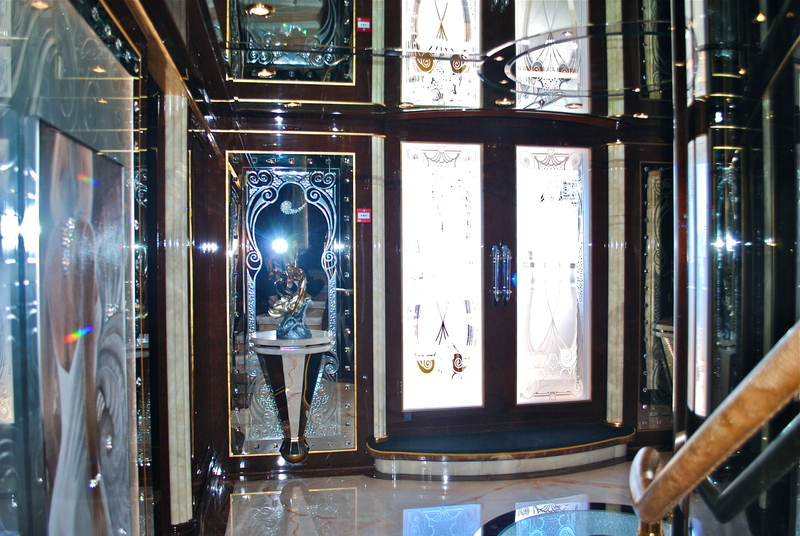 DIAMONDS ARE FOREVER is an outstanding collaboration between John Staluppi, Benetti Yachts, and Evan K. Marshall. Her elegant aesthetics are a stunning interpretation of the exclusivity of luxury yachting, defined by graceful shapes, dynamic lines and a powerful presence. 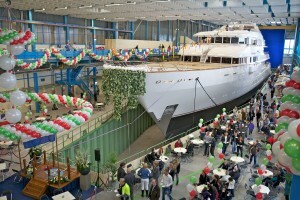 The in-house technical department of Azimut-Benetti, responsible for naval architecture and engineering, used high-resistance steel for the hull and light weight aluminum alloy for the superstructure. The displacement hull features a bulbous bow and a longitudinal skeg running from amidships to the stern, facilitating the 200-foot yacht’s ability to travel at a remarkable maximum speed of 16 knots, with an oceanic range of 4,800 nautical miles at 12 knots. The concept design and exterior styling of DIAMONDS ARE FOREVER was entrusted to Benetti FB Line’s brilliant Stefano Natucci, who imbued the vessel with the instantly recognizable modern classicism that is a trademark of Benetti motor yachts. 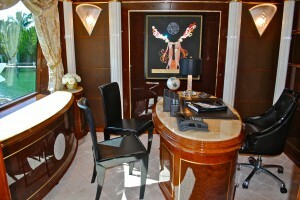 Innovative features of this quad-deck design include a VIP master stateroom and an Owners’ master stateroom. The unusual fly bridge, located above the sun deck, creates a spectacular panoramic private Owner’s deck that can accommodate helicopter landings and takeoffs, and can only be reached via controlled access from the main staircase and the central elevator. 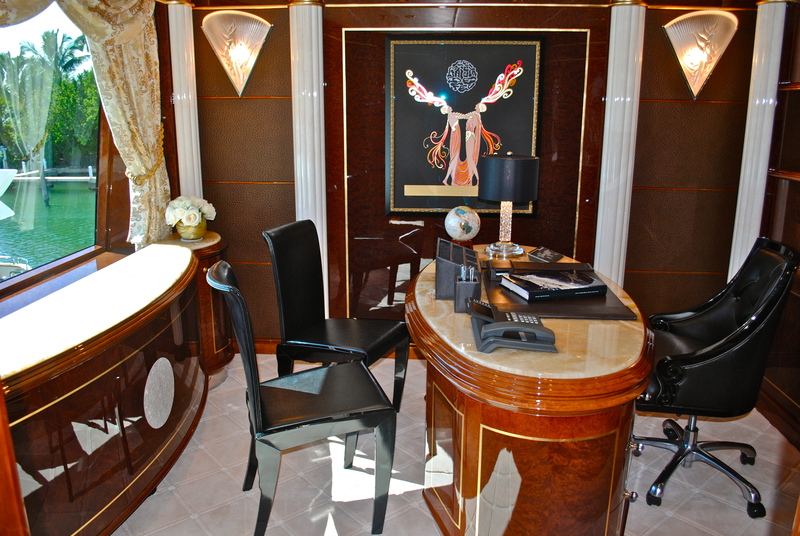 ARE FOREVER are the work of the extraordinarily talented Evan K. Marshall of Usonia V, responsible for the interiors of previous Staluppi superyachts including THE WORLD IS NOT ENOUGH. Marshall designed sumptuous interiors, including all loose furniture, for comfort and visual impact. Furnishings throughout that epitomize luxury and refinement are embedded with thousands of Swarovski crystals that successfully mimic glittering, prismatic diamonds. Shimmering foyers on each deck house the central spiral staircase that winds around the cylindrical glass elevator. Each foyer sparkles with reflective glass, thematic works of art, striking combinations of marble and onyx floor inlays, and burl wall panels framed by gold and silver leaf inlays. 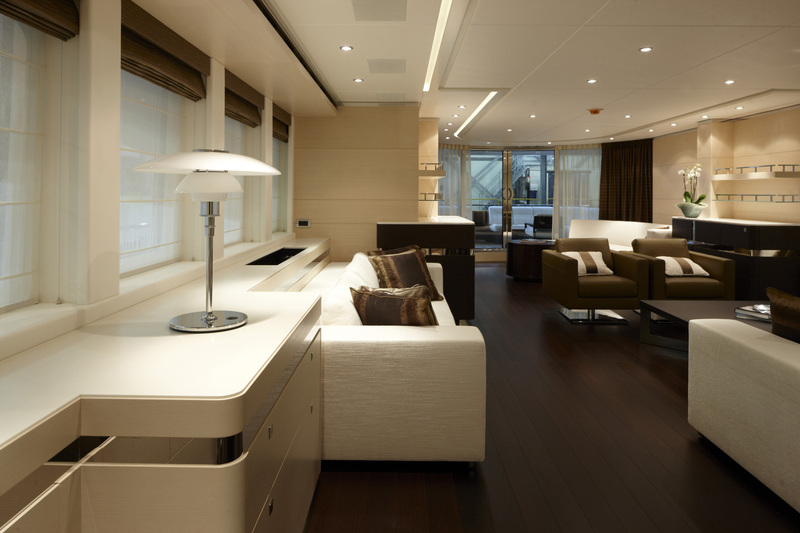 The main deck layout includes living and dining areas and the VIP apartment. On this and all deck levels, social spaces incorporate elegant pieces of loose furniture and commissioned works of art with design motifs inspired by the ship’s name. The furniture appears to be freestanding, supported only by slender legs embedded with delicate Swarovski crystals set in polished chrome and gold-plate. The VIP master suite features a split-level layout with large panoramic forward facing windows, his and hers walk-in dressing rooms, an exercise room with adjoining sauna and a beauty salon with massage table. 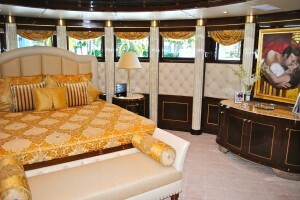 These spaces are self contained and can be separated from the stateroom for use by other guests. 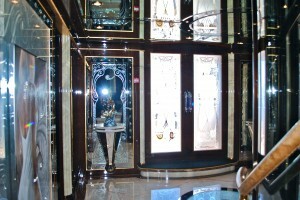 The lower deck layout includes one twin stateroom and three king-size staterooms, two of which have walk-in wardrobes. 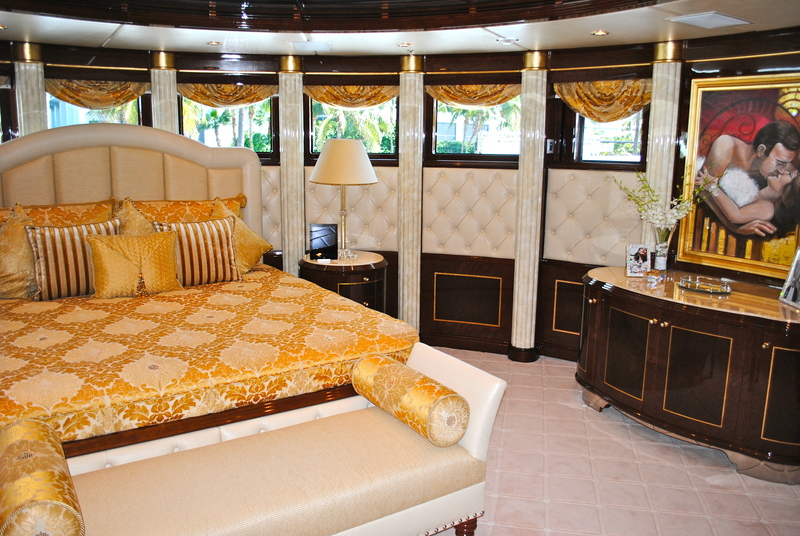 The materials for the staterooms include elegant Madrona burl woods, gold and silver leaf inlays, rare marbles and onyx, and custom colored and embossed leathers. Notable features include lavish ensuite facilities, commissioned works of art representing Neoclassical, Art Deco and Art Nouveau periods, faux stingray skin walls and trim, and silent air conditioning cleverly ventilated through crown molding. On the upper deck of DIAMONDS ARE FOREVER is the spectacular sky lounge, featuring a unique automated indoor-outdoor dining area. With the flick of a switch electric doors convert the indoor space by opening the area to the aft cockpit, instantly creating an outdoor dining area. The full beam living area boasts a welcoming low bar, plush seating arrangement, a grand piano, game table and four televisions, (we are told Staluppi is a serious Nascar fan) that are concealed by original paintings embedded with Swarovski crystals. In each of the niched corners are four original sculptures inspired by the famous Quattro Fontane in Rome, that reveal John Staluppi’s passion for the sculptures of the artist Erté, renowned as a great master of Art Nouveau and Art Déco. They are reputed to be a very limited edition from the artist’s America Series quartet entitled “Liberty”, “Fearless and Free”, “Peace” and “Justice”, and produced using a bronze alloy casting technique. DIAMONDS ARE FOREVER is superb luxury yacht that meets the most demanding charter requirements; palatial amounts of space, the very best materials and technology, the highest levels of service, and the utmost privacy and security. 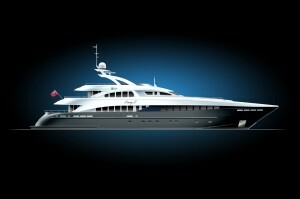 She will be available for charter through the Mediterranean this spring. Sunreef Yachts Charter has a wide range of megayachts, power yachts, luxury catamarans and sailing yachts, available for charter in destinations worldwide. 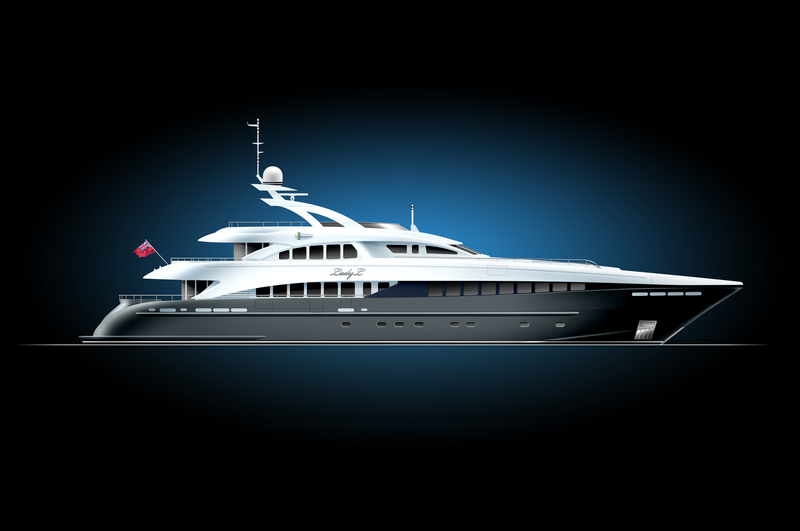 PRIVATE LIVES, a 120’ luxury expedition motor yacht, will be available for viewing to qualified clients attending the Palm Beach International Boat Show this week. 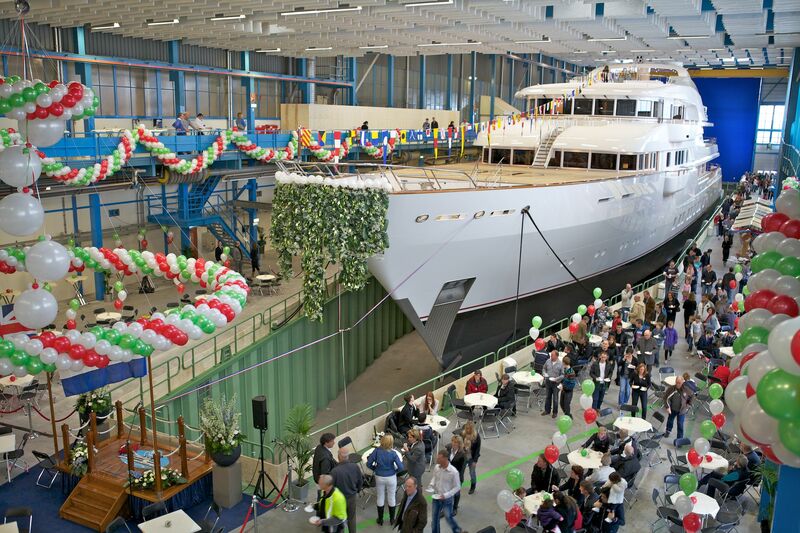 Built by the Turkish shipyard RMK Marine with naval architecture, interior and exterior styling by the Dutch design team at Vripack, this elegant yacht is designed and constructed for transoceanic adventure without sacrifice to style and comfort. The yacht, currently based in the Mediterranean, is available for sale or charter. Distinctive and rugged, PRIVATE LIVES is built for the high seas and decked out for the high life. 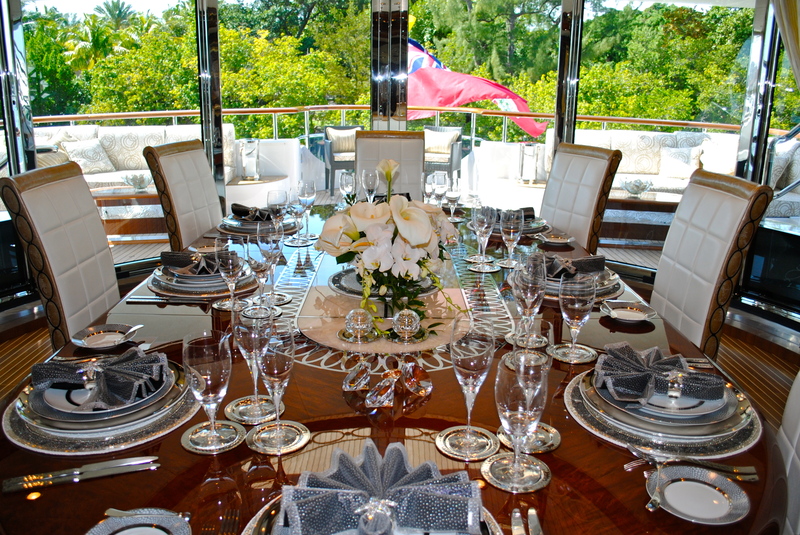 The main deck houses the grand salon, dining room, fully equipped office and master suite. Contemporary traditional interiors are arranged for ease of circulation and maximization of space. 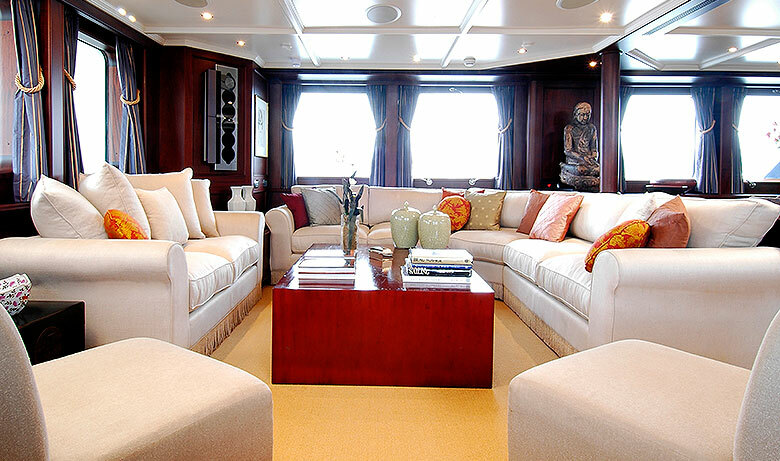 The handsome color palette is augmented by rich wood paneling that together enhance a nautical theme. Luxury charter yacht PRIVATE LIVES has a very special layout designed to take full advantage of living at sea with voluminous decks and spectacular views. 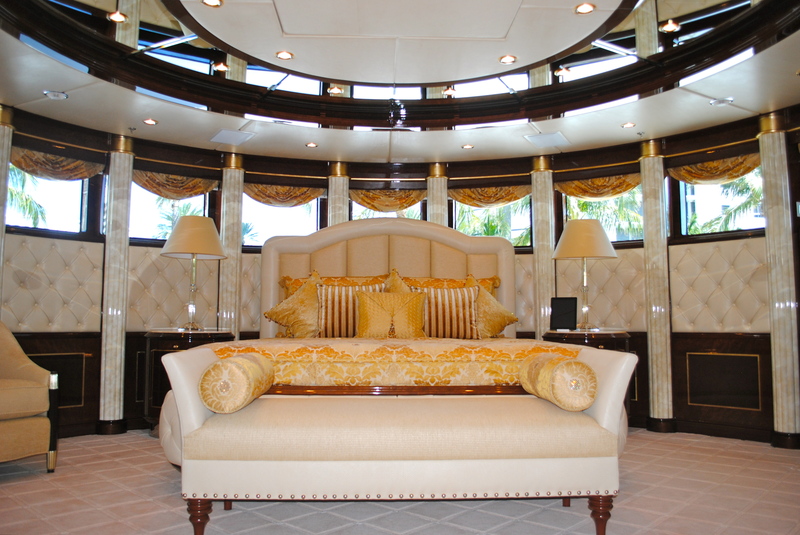 The main deck master suite features king bed, dual bathrooms and breathtaking floor to ceiling windows. The upper deck houses four other guest suites, two queen doubles, one with shower and one with bath, and two twin cabins with showers. There is a sauna forward on the upper deck. 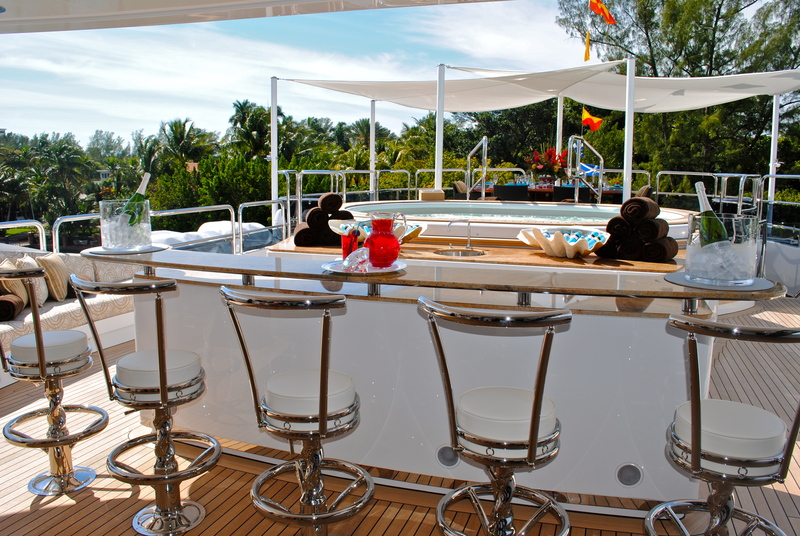 The aft deck is an expansive outdoor area that serves to extend living space. Crewed charter yacht PRIVATE LIVES offers plenty of options for leisure diversions while cruising to some of the world’s most hard-to-reach places. State-of-the-art entertainment equipment allows for excellent audio and visual options. Guests will also enjoy uncluttered and serene deck spaces with plenty of lounging for sun worshippers or relaxing in the shade, as well as options for al fresco dining. 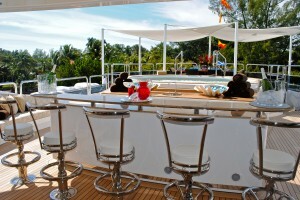 Explorer yacht PRIVATE LIVES offers excitement for guests of all ages, interests and abilities. Sport fishermen will thrill to an aft configuration that houses two fighting chairs and extensive fishing gear. Luxurious superyacht PRIVATE LIVES is also equipped with a 20ft custom Novurania inboard tender, perfect for exciting shopping, dining and exploration ashore, a 19ft Boston Whaler with twin Yamaha engines, two 2-man wave-runners, a Sunfish sailing dinghy, two Hummer mountain bikes, snorkel and dive gear, water-skis and tows. This elegant expedition yacht with steel hull and aluminum superstructure is designed to go the distance safely and economically. PRIVATE LIVES features low fuel consumption and offers silent and vibration free running with a range exceeding 5,000 nautical miles. 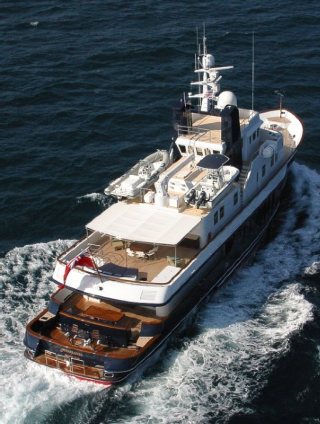 Power yacht PRIVATE LIVES has a top speed of 13.5 knots and cruises comfortably at 10.5 knots. Her talented, dedicated and delightful crew of seven provide superb service and expert navigation. The winning combination of unique expedition yacht and extraordinary crew assure guests of the ultimate charter experience at sea, at anchor and in port. 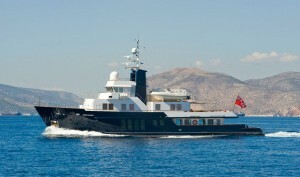 Follow this link to view luxury charter yacht PRIVATE LIVES detailed information. Contact Sunreef Yachts Charter expert to make an appointment for an escorted to of this magnificent yacht at the Palm Beach International Boat Show. 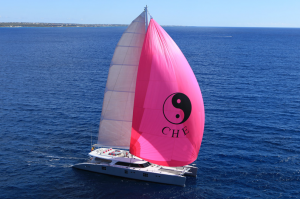 Please follow these links to view a selection of superyachts, sailing yachts, luxury catamarans and power yachts for charter. Sunreef features comprehensive information about charter destinations worldwide. Sunreef Yachts is proud to announce that two Sunreef luxury catamarans have been shortlisted as contenders for this year’s design awards organized by leading UK-based design magazine, Design et al. The dynamic and energy efficient Sunreef 70 Power is nominated for Best Power Yacht up to 40 meters, and the sophisticated charter sailing catamaran, Sunreef 114 CHE, has been selected for the Best Yacht Interior Design category. The goal of Design et al in hosting this prestigious event is to commend design, recognize talent, create opportunities and offer inspiration to the many outstanding interior and exterior designers within the yachting and aviation industries and to allow clients and colleagues the opportunity of rewarding the best in designs from around the globe. The International Yacht & Aviation Awards are not judged by a panel. Short listed entries are presented online, and voting is open to industry professionals as well as Design et al readers, clients and customers. The glamorous black tie awards reception and ceremony will take place Friday 27 April, at the Splendido Hotel, Portofino, Italy. Set on a verdant hillside overlooking the picture-perfect harbor of Portofino, with elegant luxury yachts bobbing at anchor, Hotel Splendido is one of Italy’s most glamorous retreats. Tickets for the event can be purchased through the Design et al website. The online voting process is open to industry professionals as well as Design et al readers, clients and customers. Sunreef Yachts will be honored to receive votes from all of our friends and colleagues in support of the two superlative builds, Sunreef Power 70 and Sunreef 114 CHE. VOTE. 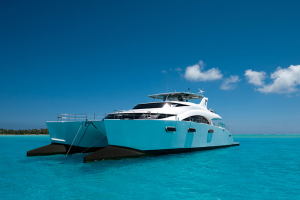 Please follow these links to Sunreef Power 70 DAMRAK II, Power 70 ABUELO, and sailing catamaran Sunreef 114 CHE for detailed charter and destination information and to reserve these yachts. Our charter experts had the priceless opportunity of touring Owner John Staluppi’s newest Bond-themed megayacht, DIAMONDS ARE FOREVER. This Benetti 60-meter masterpiece is a dazzling tribute to the superb naval architecture and engineering synonymous with the brand, and the artistic genius of designer Evan Marshall. 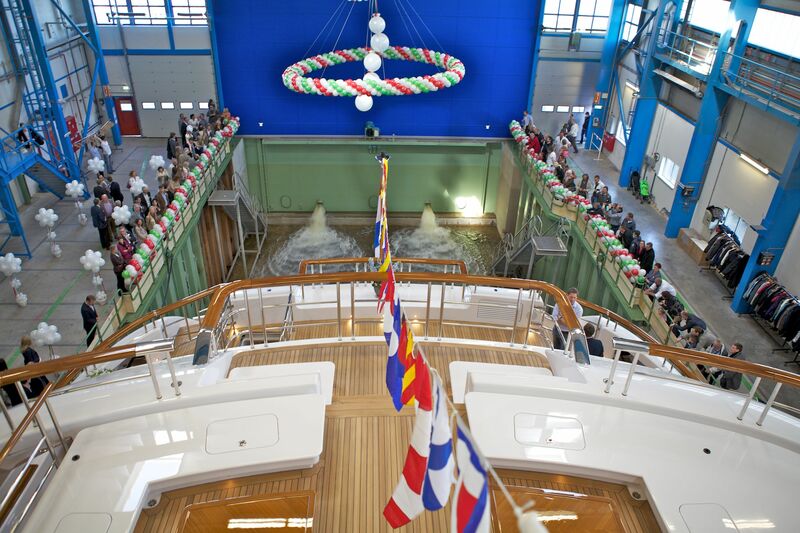 DIAMONDS ARE FOREVER launched on Saturday 26th November 2011 at the state-of-the-art Benetti shipyard in Livorno, and made her US debut as the largest and most phenomenal yacht at the Miami Yacht and Brokerage Show. The official name of the yacht bears the very personal signature of Mr. John Staluppi, the owner of many superyachts, each more spectacular than the previous, and each bearing the name and stunning design references to a James Bond film. The elegant external line of the superyacht DIAMONDS ARE FOREVER is characterised by compact forms and dynamic slender lines. The balanced combination of traditional design elements and modern innovative stylistic and engineering solutions so characteristic of the shipyard gives a dynamic presence to DIAMONDS ARE FOREVER that is sure to turn heads in every port of call. Interiors are literally brilliant. Thousands of Swarovski crystals embedded in furniture, fabrics and artwork, high gloss woodwork and polished marble floors, mirrored surfaces, reflective stainless, and prismatic etched glass, create an ambiance that is almost surreal. 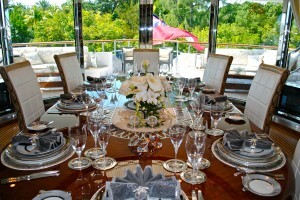 On board, full customization includes the particular arrangement of the staterooms, the location of the wheelhouse on the flybridge, the remarkable interior design and decor, the engine room made entirely of stainless steel and the addition of the top deck above the flybridge, a private panoramic deck 12 meters above the sea that can be reached by the glass elevator that serves all the yacht decks. 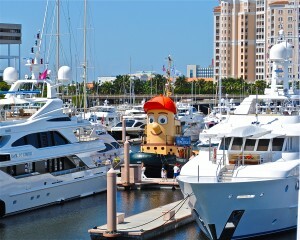 Please visit the Sunreef Yachts Facebook album for additional photos and descriptions of DIAMONDS ARE FOREVER. 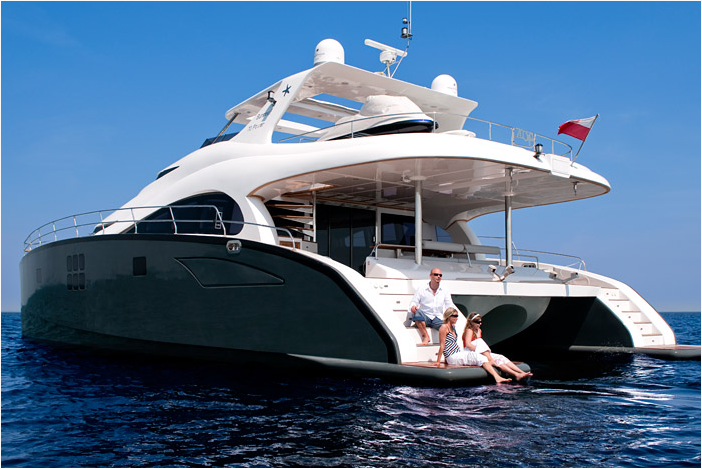 Sunreef Yachts Charter has a comprehensive selection of megayachts and superyachts available for charter worldwide. 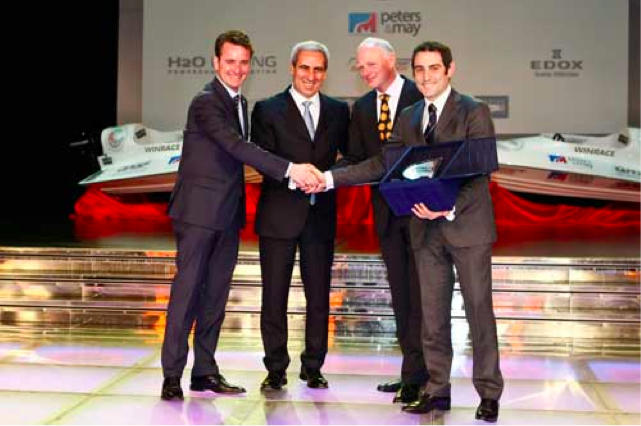 Azimut Magellano 50 was crowned winner of the prestigious “2011 UIM Environmental Awards” for its technology and boat owner services and its high level of environmental friendliness by the “Union Internationale Motonautique”. The award’s distinguished jury has recognised Magellano 50’s innovation and its extensive technology employed to benefit the environment and the boat owner. 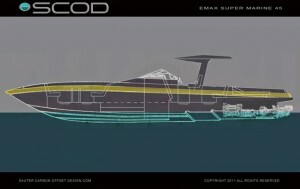 Founded in 1922, The UIM is the world governing body for all Powerboating activities. 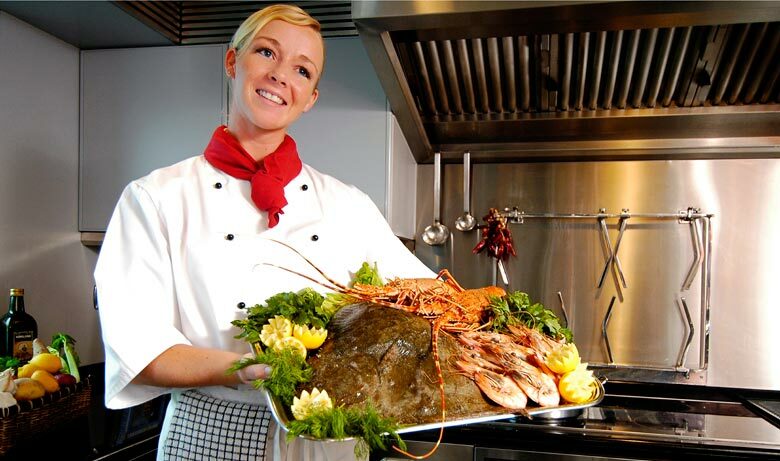 It is fully recognized by the International Olympic Committee. The UIM has been paying special attention to the environment over the years by promoting issues, activities, and competitions, all with an increasingly attentive eye to respecting the environment. UIM President, Dr. Raffaele Chiulli presented the official awards to the engineer Francesco Ansalone, Marketing Director of Azimut Benetti Group, during the ceremony gala on the 11th of February in Monte Carlo, Principality of Monaco, at the magnificent Salle des Etoiles. Please follow this link to view elegant AZIMUT CHARTER YACHTS available for charter in destinations worldwide. 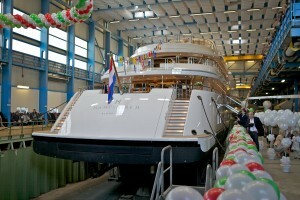 Heesen Yachts announces the launch of YN 15944, formerly Project Zentric, from their facility in Oss, the Netherlands. The Owner has christened her MY Lady L. This vessel is the eighth in the successful 44 meter, all-aluminum, semi-custom class. 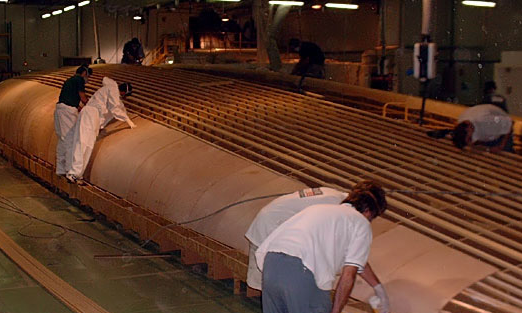 YN 15944 was begun as an “on stock project” by the shipyard, which commenced the build prior to securing the signed contract in 2011. Last November the deal was closed for YN 15944, which was delivered just two months later. Building in aluminum to enormously demanding tolerances, the Heesen hull-form is designed to optimize the way a yacht moves through the water. MY Lady L reaches the remarkable speed of 25 knots, making her one of the fastest yachts of her size on the market. Twin MTU 2.720kW engines combined weight reduction and an ultra-efficient hull make the speed possible. 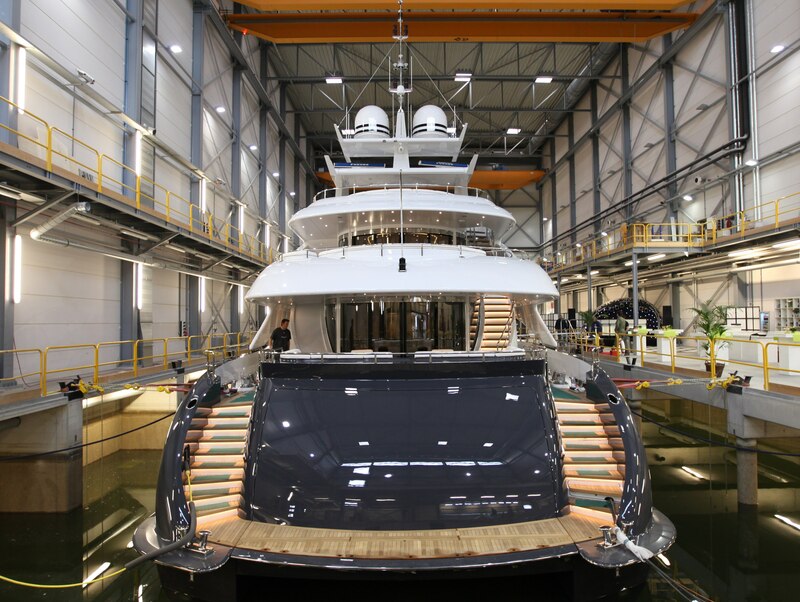 Using the experience gained from constructing previous 44 meter aluminum yachts, Heesen has designed MY Lady L to fully maximize the amount of deck space available resulting in even greater levels of luxury. Guests will likely spend most of their time at sea on the expansive 45 square meter sun deck. 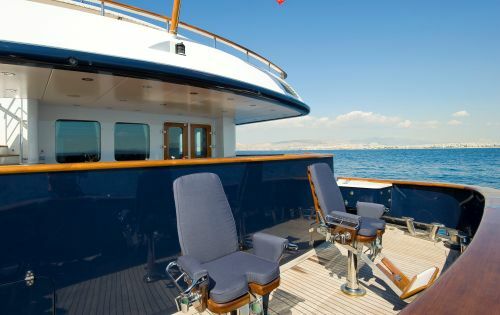 They’ll also enjoy the main and upper aft decks as the perfect locations for alfresco dining or just lounging in the shade; while the seating area on the foredeck is ideal for catching the breeze when at anchor, or for privacy when docked stern-to in the harbor. Frank Laupman from Omega Architects designed the timelessly refined interiors where pale woods and precious fabrics accentuate light and space. The sleek, classic Deco design keeps living areas elegant and clutter-free. 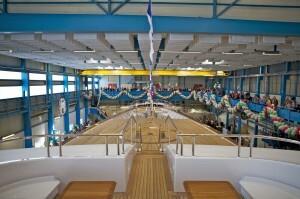 The main saloon is split into three distinct spaces within the open-plan layout. In addition to the main sofas and dining areas, there is an intimate semicircular seating area adjacent to the huge curved sliding glass doors. The sky lounge has been designed to provide several different entertaining and relaxation spaces. Deep sofas line both sides of the room, while an aft circular arrangement of stools and table creates a laid-back atmosphere. 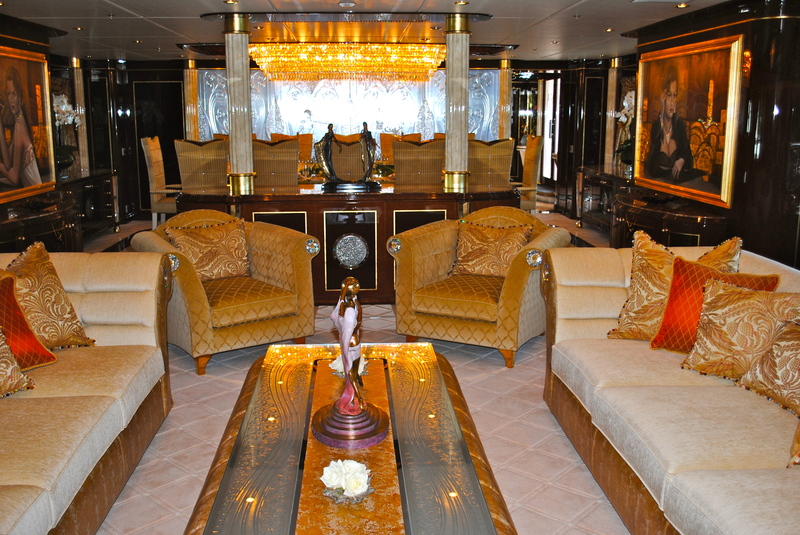 Ten guests can be accommodated in five cabins. 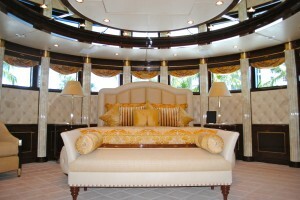 The full-beam master suite is situated on the main deck and includes a study and full-beam his-and-hers marble bathroom. Two double and two twin cabins, all with ensuite marble bathrooms, are located on the lower deck. 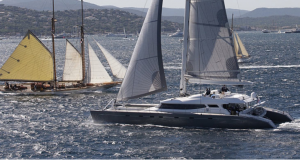 Please follow this link for information about Superyacht and Luxury Yacht Charter. 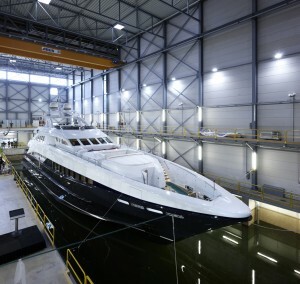 Interested in chartering a Heesen? Sunreef Yachts Charter has a superb selection, just follow this link for Heesen Charter Yachts. The Emax Solar Hybrid Jet Propelled Tender is powered by twin CMD TDI V6s coupled to GM Allison Hybrid Transmissions. Each 450hp Diesel Electric Power Plant is revolutionary as it weighs no more than its gasoline equivalents while consuming 40% less fuel. The environmentally friendly superyacht tender uses a 32KWh Lithium UPS to achieve speeds up to 25 knots in virtually silent electric mode. At full speed the transmission shifts into low gear, engaging the V6s and loading the Hi-Torque RR Waterjets for rapid acceleration. Once on plane, the transmission selects the most economical rpm for the load at all speeds up to 80 knots. 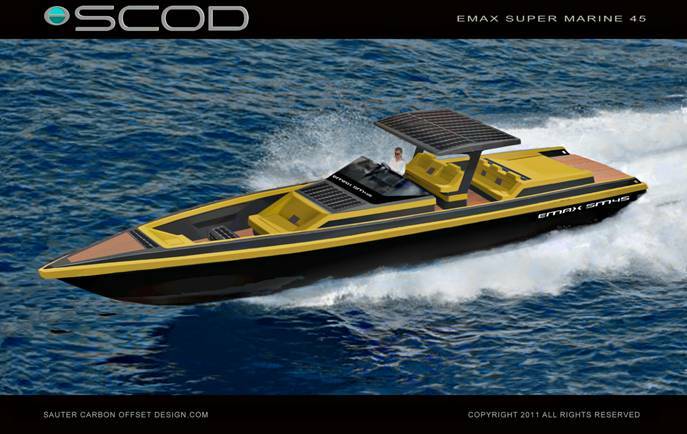 The 900hp (1160 ft. lbs of torque) Carbon Epoxy Super Marine 45 is the fastest most powerful tender in the world and significantly greener than other tenders in her class. The Emax uses the same dual mode Electrically Variable Transmission, for excellent economy and performance, as thousands of hybrid buses the world over, the GM fleet of Hybrid pickup trucks, the Hybrid Cadillac Escalade and the Hybrid Bluetec S Class Mercedes Benz. Whether shuttling passengers and supplies back and forth or embarking on an exhilarating adventure, the chic teak decked Super Marine 45 seats up to 10 people, plus 4 sunbathers on the sun bed. In the cabin is a shower room with stand-up head, double bed, kitchenette with fridge/freezer, stove and microwave. 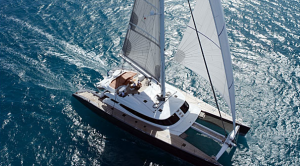 The foredeck table is ideal for a buffet or al fresco dining for six guests. 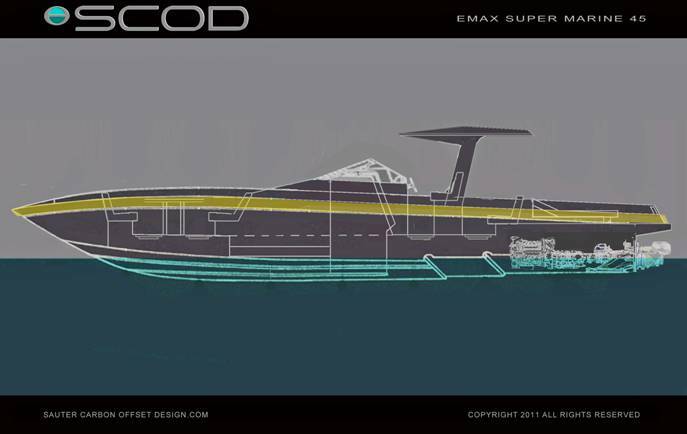 As a jet propelled Zero Carbon recreational watercraft she is the safest and by far the most Eco Friendly boat of her kind. The EPA estimates that registered recreational boats in the USA produce a staggering 330 million metric tons of CO2 per year. 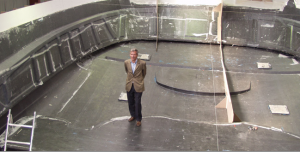 Switching from gasoline to Emax Solar Hybrid propulsion can reduce that figure by over 50% thereby reducing global warming pollution by more than 160 million metric tons per year. 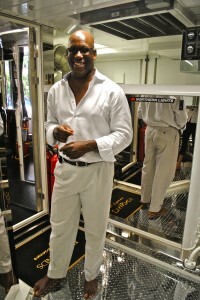 Please visit Sunreef Yachts Charter for comprehensive information on Luxury Superyacht Charter worldwide.